Our venue is available for weddings, birthday parties, bar/bat mitzvahs, family reunions, business meetings, holiday gatherings and other special events. Each package includes: Tables, Chairs, Linens, Lit Ficus Trees included. Food and Beverage not included. You may bring in your own food and alcohol. We loved this place and Medline was awesome! Beautiful chapel and reception hall. I used this venue to get married in 2006. I did not have to do very much decorating and the place was very elegant. It was also affordable. The Chimes is a beautiful place to have a wedding. 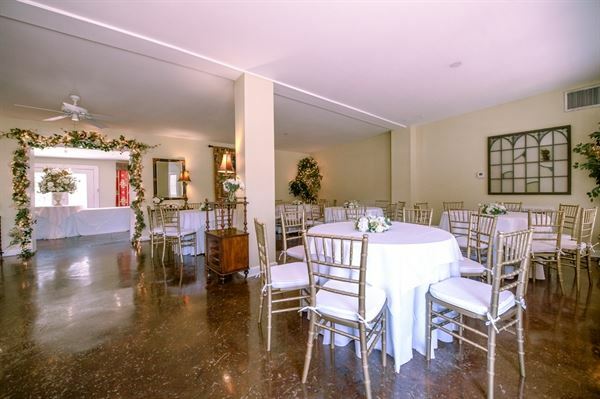 The facilities are clean and well decorated and look beautiful with flowers and lights and chairs in the room. The wedding I attended there was amazing and the staff was very accomodating. I would definitely refer The Chimes and Occasions to anyone looking to have a wedding reception. Great location too!